A large green Styrofoam ball – I used a 6 inch in diameter ball, but you can get any size you would like for your centerpiece. If you only see white balls, you can paint it green. 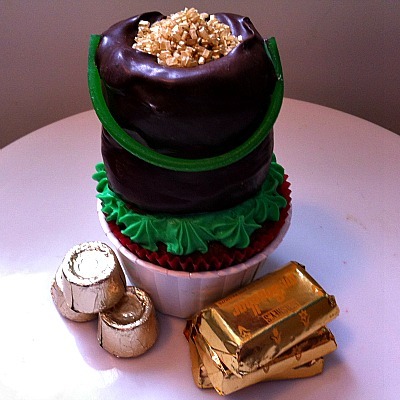 Green glitter – You’ll want a whole container for this. 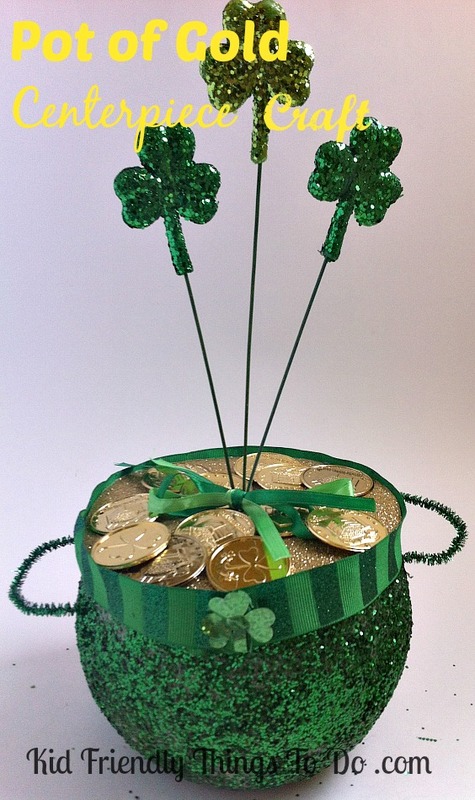 A Festive Shamrock Wire Accessory – to stick in the center of your pot. 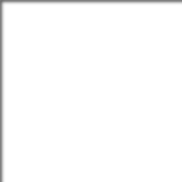 Cut off a small portion of the bottom of your ball. This is only to make it sit without rolling. Cut about 1/2 inch off of the top, so it will start to resemble a bowl. 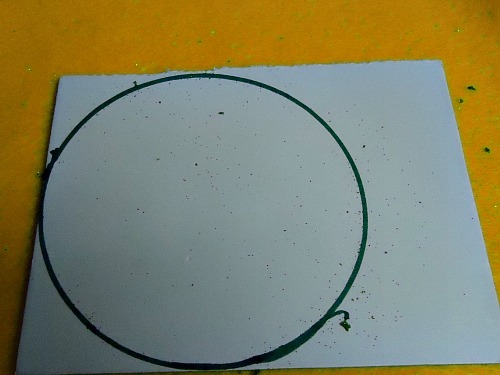 Turn your bowl over onto the back of your gold glitter paper, and trace a circle with the bowl as your template. 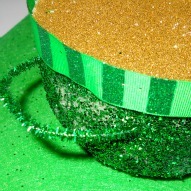 Wrap your 1 inch ribbon around the bowl, where the gold paper, and bowl meet. Secure with glue. Cut your green glitter chenille stem in half. Insert one piece on each side of your Styrofoam bowl for handles. 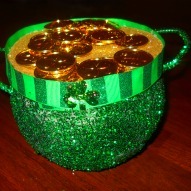 Add gold coins to the top of your bowl. And, there you have it! 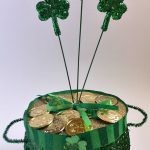 A pot of gold! 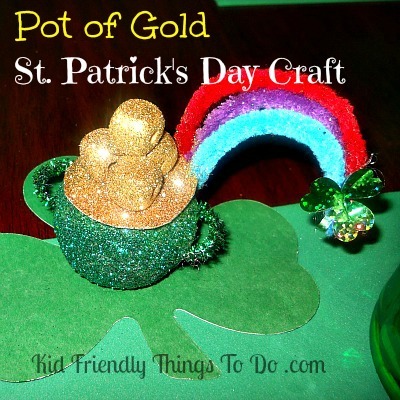 Making A Pot Of Gold Cupcake For St. Patrick's Day!